September 23, 1929 –Construction of the Wabash Avenue bridge begins, an event that, it is hoped, will usher in “the beginning of a new era of prosperity and business activity in the community …” [Chicago Daily Tribune, September 23, 1929] Projected completion date for the new span is anticipated to be December 1, 1930 as the contractor in charge of the construction of the bridge’s sub-structure has been given 11 months to complete the work. 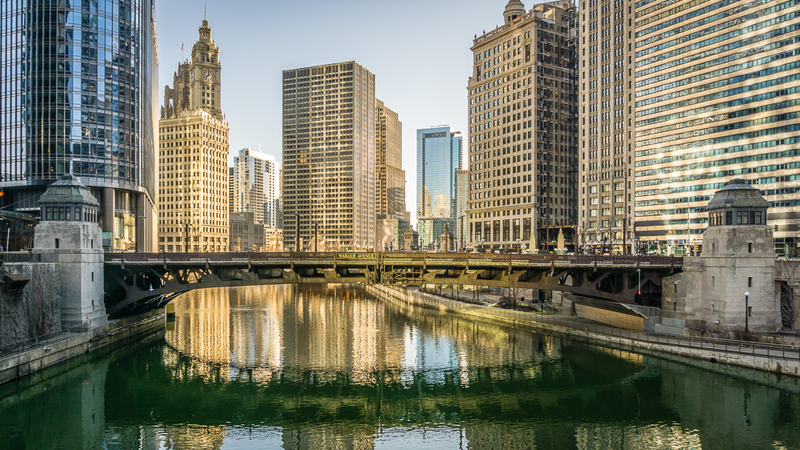 The bridge will connect the north end of Wabash Avenue at Wacker Drive with the south end of Cass Avenue on the north side of the river. A viaduct will also be constructed across the tracks of the Chicago and North Western Railroad and Kinzie Street with a gradual grade bringing the road down to grade level at Illinois Street. The $3,700,000 span will be a two-leaf, single deck bascule bridge, 232 feet long and 60 feet wide with sidewalks on each side of the bridge spanning 13 feet. 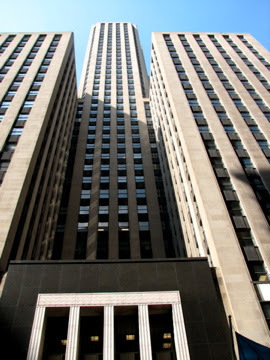 Completing the project entailed coming to terms with the C and NW concerning the placing of piers, columns and easements. Before construction even begins, businessmen on Cass Street are planning improvements that they hope will bring shoppers, new businesses and residents to the area. 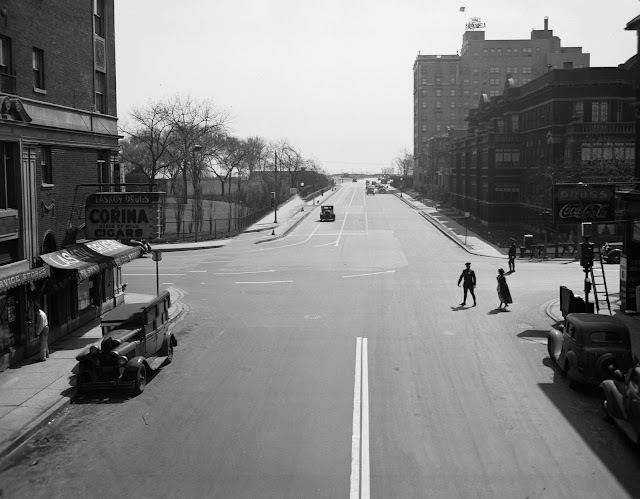 September 23, 1933 – Another mile of Lake Shore Drive is opened to traffic from Montrose to Foster Avenue. The road will only be open during the day as streetlights still need to be installed. This will be the first major thoroughfare to be opened as a result of $20,840,000 in gasoline and license taxes that the Illinois legislature had approved earlier. It is expected that 35,000 cars a day will be using the new road each day although there are still obstacles to be overcome. The junction with Sheridan Road at Foster Avenue will be a significant bottleneck. George Barton, an engineer for the Chicago Motor Club, says, “Unless every assistance is given to traffic at Sheridan road and Foster avenue the utility of the new mile of outer drive is seriously curtailed. This intersection will be the new bottleneck in the north side boulevard system, replacing the present bottlenecks at Montrose and Clarendon avenues and at Lawrence avenue and Sheridan road.” The junction of Sheridan and Foster is shown above several years after the Lake Shore Drive extension is opened.